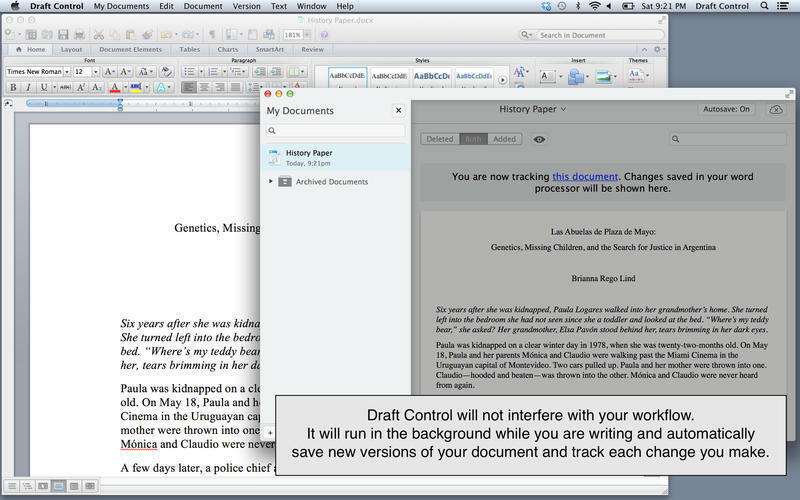 Tracks changes in word processor documents. Is there a better alternative to Draft Control? Is Draft Control really the best app in Productivity category? Will Draft Control work good on macOS 10.13.4? 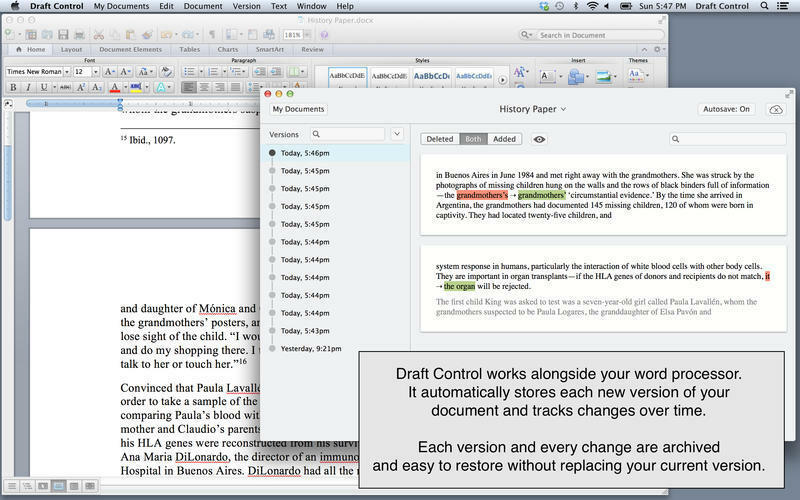 Draft Control works alongside your word processor and automatically tracks changes over time. Every change is searchable, archived, and easy to restore. 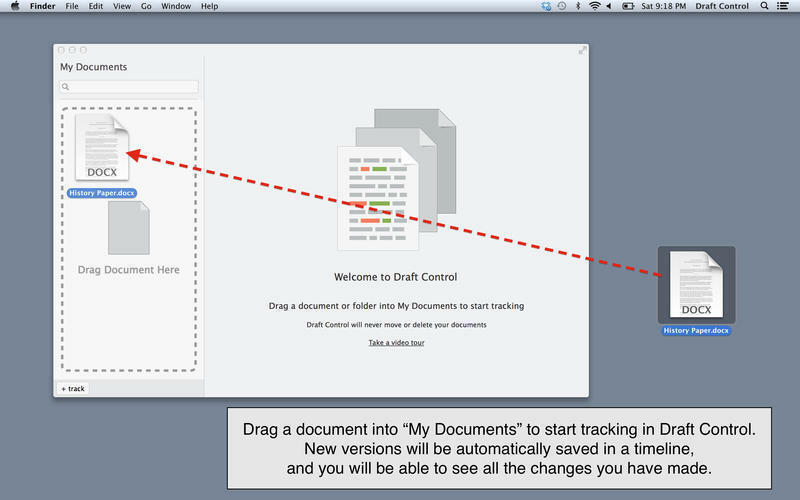 Automatically tracks changes to your documents each time they are saved. 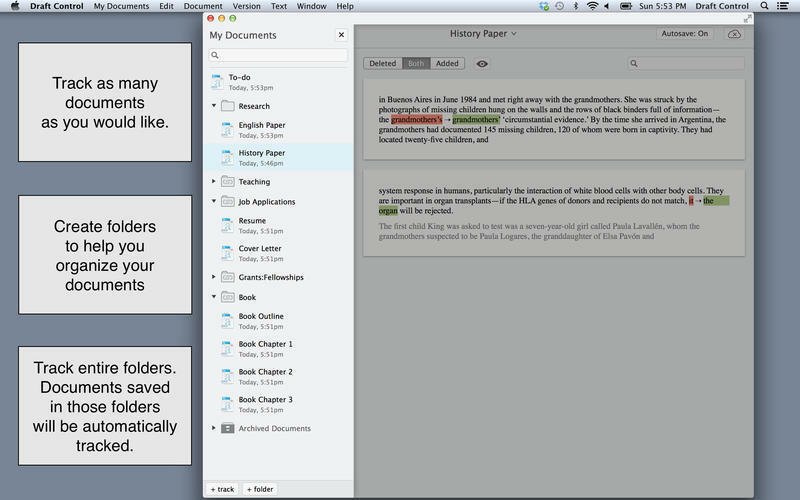 Keeps a pristine backup of each version of your document. 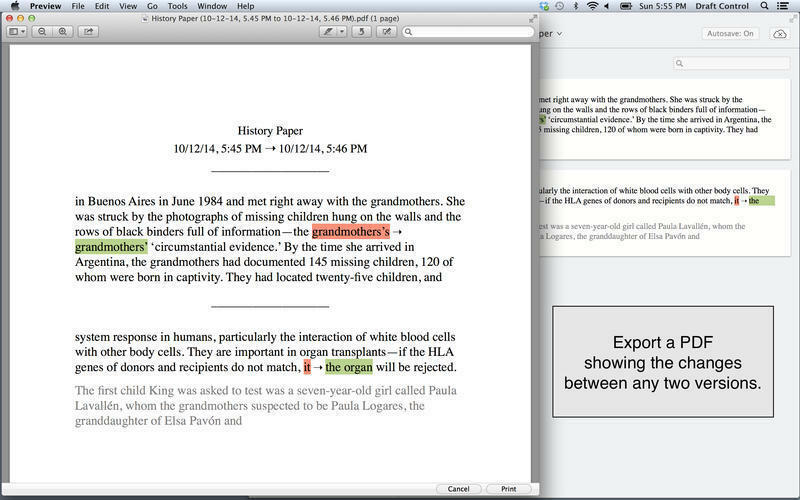 Allows you to compare any two versions of a document. Search for changes between documents. Backs up to iCloud seamlessly. Draft Control needs a rating. Be the first to rate this app and get the discussion started!